Located off State Road 441, guests can start their day with breakfast, lounge in the outdoor pool, and stay connected through free Wi-Fi. Splash Country Water Adventure Park is 10 minutes' drive away.All guest rooms include a cable TV with HBO movie channels and a small refrigerator. 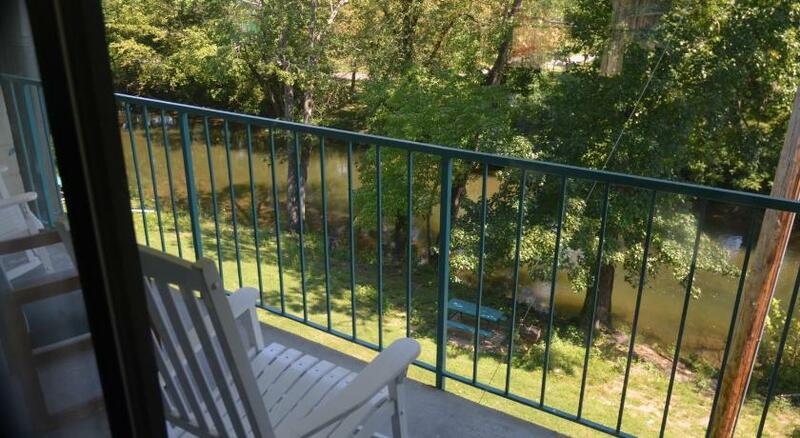 Select Riverlodge South rooms feature a private balcony, patio, and fireplace.When not exploring the natural beauty of Pigeon Forge, Riverlodge South guests can make a meal at the barbecue facilities and a picnic. Free on-site parking and a souvenir gift shop are available for added convenience. Guests can play mini golf 6 minutes' walk away at Fantasy Golf or experience a Western-themed dinner and show at Dollywood 3 miles away. Central Gatlinburg is 8 miles away and Pigeon Forge Convention Centre is 6 minutes' walk away.